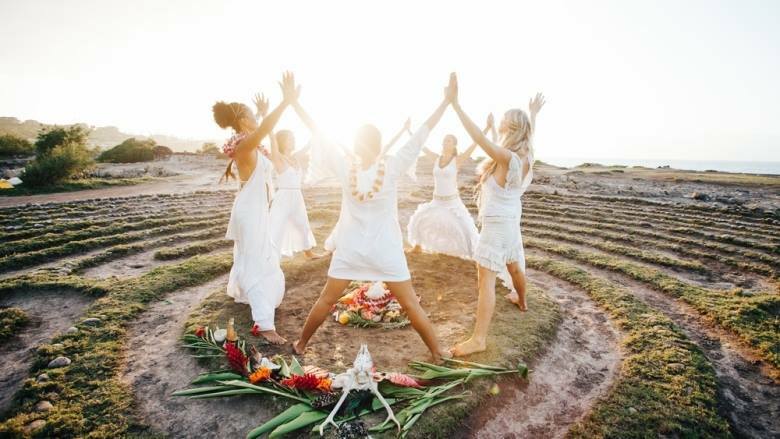 Where 6 - 7 spiritual women will come together for hugs, fun, laughs, and lots of spiritual coaching and channeling. Magic happens. Laughter ensues. Adventure knocks. Listen, the online world can be exciting and a great place to connect. But it's also Lonely as F*ck sometimes, isn't it? And share laughs, hugs, and deep, late-night convos with people who "get you". Allie Horner, Intuitive Business + Life Coach for Spiritual Entrepreneurs and The Everyday Woo Woman on a mission to change the world by transforming herself. I am here to support you in whatever capacity serves you most right now, and I come armed with tools that serve you, mind, body, and soul. I understand energy, am highly intuitive, and also worked in marketing for 10 years, with three of those years serving spiritual entrepreneurs. I've also published a book, received coaching certs, and served many clients 1:1 and in group experiences. I've created a business which lights me up... and also fits inside of the lifestyle I want most: being with myself, heading outdoors, and having adventures are part of the requirements for me. You know what blew the lid off of this popsicle stand? It was exciting and fun, yet it threw me through an emotional loop. So I decided to play and have fun with it, and to integrate my new woo side into my business + life fully. "I'm not going to hide who I am, anymore. I just need to find people who get me, and who are open, loving, and accepting of who I am... And man, I want to really spend time with people, in person! Isn't that what everyone wants?" This decision propelled me forward because I was finally deciding to do what I needed to do, for Me. So I joined a tight-knit mastermind, went to a retreat in Tulum, and then went to another in-person event last year. I wanted to hug humans, dive deeper, play and have fun with all of these great women I had met in the online spaces. I wanted to share my ups and downs with them, and I wanted to hold them and help them and cheer them on, too. I wanted to transform, and it wasn't going to happen by hiding behind my cell phone, sitting in my house, doing nothing different. FINDING WOMEN WHO GOT ME, AND MENTORS WHO COULD SUPPORT ME, WAS VITAL. There's nothing like that first time you get to meet your peeps in person. There's nothing like that first conversation about how many crystals are in your bra. There's nothing like giving yourself some space, to play, to rest, to just BE - out of your normal environment. There's nothing like talking big ideas and new creations on the beach or late into the night. There's nothing like those moments filled with laughs, and... "You have!? ME TOO! I thought it was just me!" There's nothing like hugging humans, and knowing that you are exactly where you're meant to be. There's nothing like knowing that you get to be exactly who you are. Because you are loved and accepted for who you are, the second you walk through the door with us. It's like something lights up inside of you, creating change forever. You don't leave these experiences ever feeling the same again. 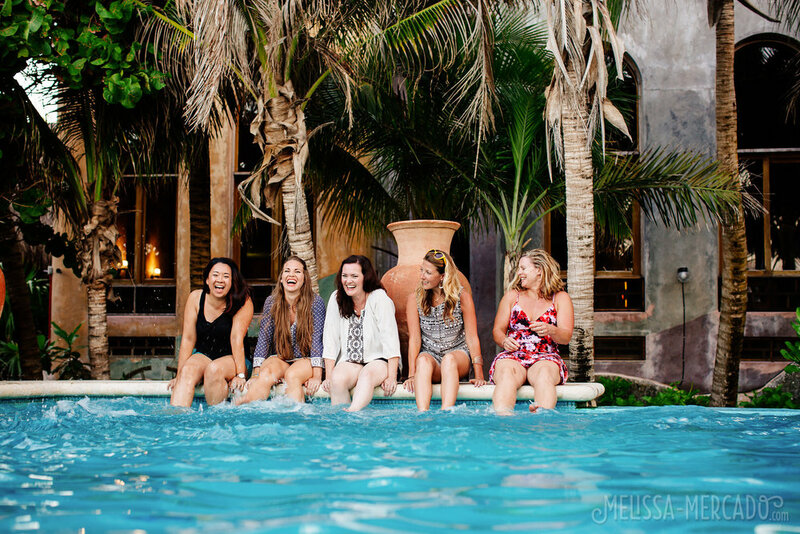 This adventure in California for a tight-knit group of awakened women like you, is perfect. - 3 nights + 4 days in the beautiful Santa Barbara beachy area (February 16 - 19, 2018). Details on exact location of our location will be sent in plenty of time prior to the retreat. - Food is included. Plan to have 1-2 dinners or lunches out, and some snacks and food brought in in the morning. - Group Channeling with E-Man, The A Team, other "special" guests, and of course, YOUR Teams! Just you and me. To help you integrate, learn, and process anything you need in life, business, with your gifts, etc. (One to use before or during the retreat, one after to help you process).... Don't worry: we all will have PLENTY of time to talk. - Guided meditation group time for killer "activation" of the wise, wild woman within. These sessions are POWERFUL. - Plenty of Solo Time. If you need to decompress, take a break from activities, go sit on the beach and contemplate life and The Universe alone for a while... you're cool to do that here. - Good food, great friends, lots of laughs and maybe some wine if you wanna mix wine and woo! - Special Guests (from the spirit world AND the human world) may pop in to share lessons and laughs with us. - Show off your skills + passions! You get to practice tapping into your own intuition and gifts, and share your magic with the group in your own special way. Tell us who you are, show us what you're creating. This is your time to SHINE being just exactly who you are. But you get them for WAY LESS. Investment includes all accommodations, scheduled activities, and food. Alcoholic beverages are you on. Travel to/from the house is not included. Additional details will be sent after purchase, leading up to the event. Like the loose "itinerary" for the trip, location when booked and complete, a questionnaire about YOU, plus you will get to book your first 1:1 with me immediately after purchase. - Stay pretty positive, but know that there will be vulnerable moments in this retreat. All of YOU is welcome with all of US. - Love to support others and love them for who they are, right now, in this moment. - Feel a HELL YES just looking a this. TRANSFORMATION IS ALWAYS IN PROCESS. Wanna chat with me and ensure it feels perfect for you? Book a free connection call with me, and we'll chat. No pressure.